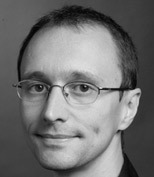 Teodor Danciu is the founder and architect of the JasperReports library, the most popular open source reporting tool, and is now working for Jaspersoft. Before starting the JasperReports project in 2001, Teodor worked for almost 9 years with several French IT companies as a software engineer and team leader on ERP and other medium-to-large database-related enterprise applications using mainly Java technologies and the J2EE platform. Teodor has a degree in computer science from the Academy of Economic Studies in Bucharest. In this webcast, you will learn how reporting is evolving as a result of modern APIs, datasources, delivery methods and architectures and how to use them to your advantage.